I killed a toad today. :( - I see better from a distance. I didn't get this little guy, though! 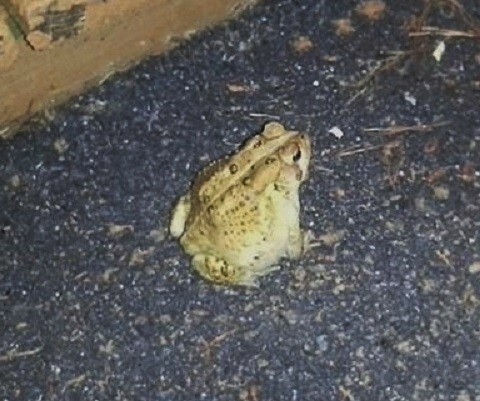 Very happy to see toads out. Eat all the bad bugs, little guy! First time I wore it, it lasted a whole week with just one touch-up coat.